Whether you need a yearly eye examination or advanced treatment for eye disease, at CustomEyes Vision Care, we believe that your complete eye care enhances your total quality of life. Our eye care clinic provides comprehensive eye exams, contact lens service, diagnosis of eye diseases and treatment of eye injuries. If you suffer from macular degeneration, cataracts, glaucoma, or keratoconus, you can trust that Dr. Anthony Tran has the expertise and experience needed for proper diagnosis and care. Read on to learn more about the specialized eye care services we provide at our Cedar Hill clinic, just minutes away from DeSoto and Duncanville. Yearly eye exams are hightly recommended to maintain healthy eyes. 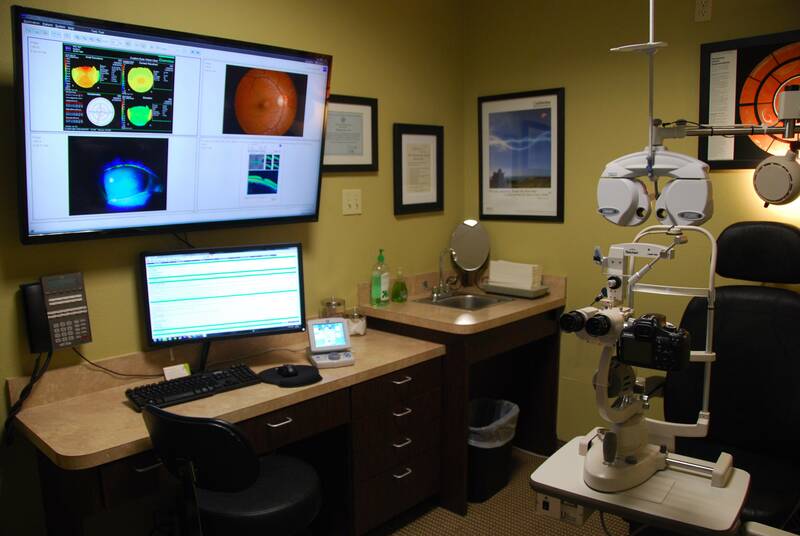 Our comprehensive eye exam is designed to provide a complete evaluation of your vision health. Contact lens technology has evolved rapidly and with today's variety of contact lenses, there are lenses for just about everyone. If you're ready for an alternative to glasses and/or contacts, we can help find the right solution for you! Try Latisse for longer, thicker lashes. Diagnosis and management of: Eye infections, Glaucoma, Diabetic retinopathy, Macular Degeneration, Keratoconus and more. Eye injuries range from the very minor, such as getting soap in your eye, to the catastrophic, resulting in permanent loss of vision. With so many different causes of dry eyes, our Dry Eye Treatment Center is dedicated to finding the best solution for you individually. Digital retinal imaging is used to detect diseases, such as, Diabetes and Macular Degeneration. 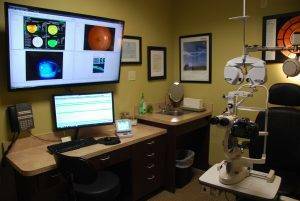 It is critical to confirm the health of the retina, optic nerve and other retinal structures. The cornea is responsible for close to 70% of the eye's refractive power, therefore, its topography is of critical importance in determining the quality of vision. Computerized corneal mapping creates a 3D map of the cornea. Cataract surgery is the removal of a patient's cloudy natural lens. It is then replaced with a synthetic lens to restore the lens's transparency. The automated system provides a more accurate prescription than your traditional manual system. This is the gold standard instrument to measure peripheral (side) vision.